Katie Harvey discussing "Everything was Wrapped in Brown Paper" in Port Blandford. The past few weeks have been busy ones at the ICH Office. We've been working on several projects including our two latest booklets which have recently launched. On Thursday, October 12th, Katie and I hit the road to Port Blandford with one of the latest booklets in the Oral History Roadshow series. 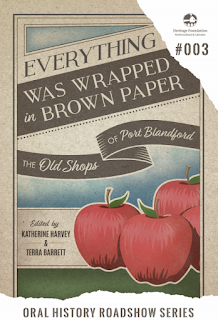 “Everything Was Wrapped in Brown Paper: The Old Shops of Port Blandford” is the third booklet in the Oral History Roadshow Series produced by the Heritage Foundation. 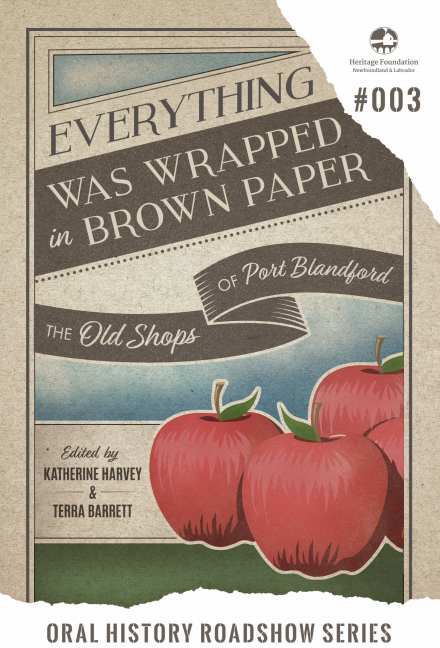 This booklet focuses on the old shops of Port Blandford, and people’s memories associated with these places. Participants Sarah Greening and Linda Bennett reading the book. The booklet developed as a result of conversations with Calvin Efford of the Port Blandford Heritage Society and a public event held in August 2017. This event focused on the shops in the community. There were over forty shops in the town from the late 1800s to the early 2000s. Over the course of a couple of days in August we did some interviews with community members who worked or shopped in the stores. These interviews were combined with background research done by the Port Blandford Heritage Society and the community's summer Green Team as well as photos from the community. On Tuesday October 17th, Dale and I along with our summer student Andrea McGuire headed out to Spaniard's Bay for the launch of the second booklet in the Oral History Roadshow series, "Folk Cures and Practical Magic". This booklet was focused in Spaniard's Bay but also includes a couple of stories from seniors who were interviewed during the summer as part of the Collective Memories project. It includes sections of charming warts, and curing toothaches as well as memories of the midwives and doctors in the 1940s, 1950s, 1960s, and 1970s. Andrea McGuire and Terra Barrett with some of the participants interviewed for the Folk Cures and Practical Magic book. 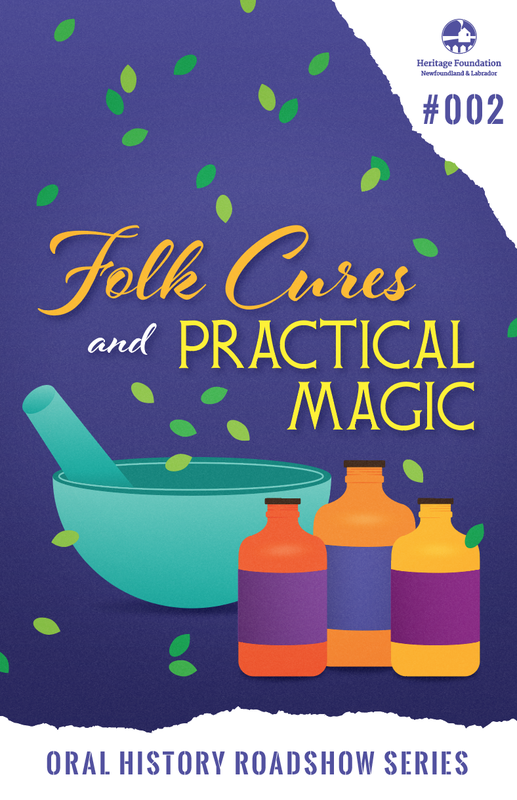 This booklet was the result of a roadshow event held in Spaniard's Bay in July 2017 that focused on home remedies like poultices for infections or practical magic such as removing a stye with a gold ring. Andrea McGuire and I completed interviews with community members who attended this Oral History Night and the Spaniard's Bay Heritage Society's summer student, Thomas Lane, completed a series of interviews with identified community members. Judy Symonds reading one of her excerpts from the book. Both launches were quite successful and the popular booklets are being sold by each Heritage Society. The Heritage Foundation will also place a PDF version online in the next few weeks which can be accessed and downloaded for free.